2015 was a big year for Planet Labs, the satellite company with the world’s largest fleet. It raised a $118 million Series C across two rounds from some big names like International Finance Corp. It also acquired BlackBridge, the German geospatial value chain business, and owner of the RapidEye constellation of satellites. The acquisition was largely made to boost Planet Labs’ agriculture-focused business due to the imaging capabilities of RapidEye’s satellites. 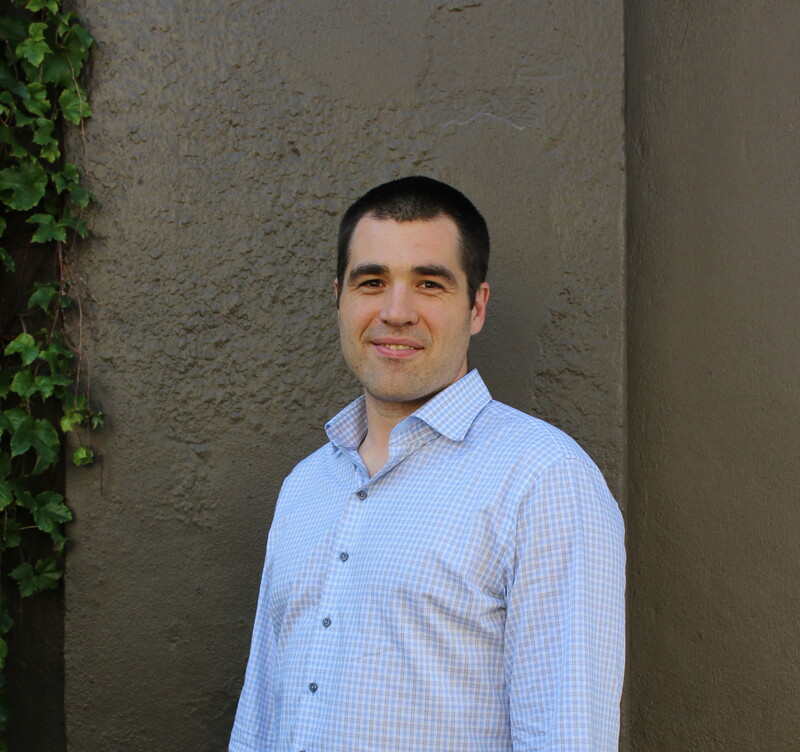 We caught up with Ryan Schacht, account executive for agriculture ahead of the World Agri-Tech Investment Summit in San Francisco next month to get an update. How have things gone since the RapidEye acquisition last year? Integration has gone really well and there has been lots of excitement about the product we’re bringing to market. We are very focused on being the best in breed for high-frequency, high-resolution imagery as that’s what’s been lacking in the geo spatial imagery market. Having access to RapidEye’s constellation gives us a great archive of imagery to work with and make available as we prepare for our constellation to be at full capacity in 2016. The technological aspects of integration, such as integrating RapidEye’s data with our APIs, sounds a bit mundane, but actually, it’s a great thing as we now have the ability to provide one single access point to three constellations: our Planet Labs, RapidEye, and Landsat. Through our Open Data initiative and beta API’s, we’re enabling data access for both Planet Labs and RapidEye imagery for limited geographies such as at the state of California. This open data initiative is a good way of bringing people to the Planet Labs platform. It’s two years of California data from RapidEye with Planet Labs latest data at a two-week delay. We’re making good on our promise to democratize access to satellite imagery. 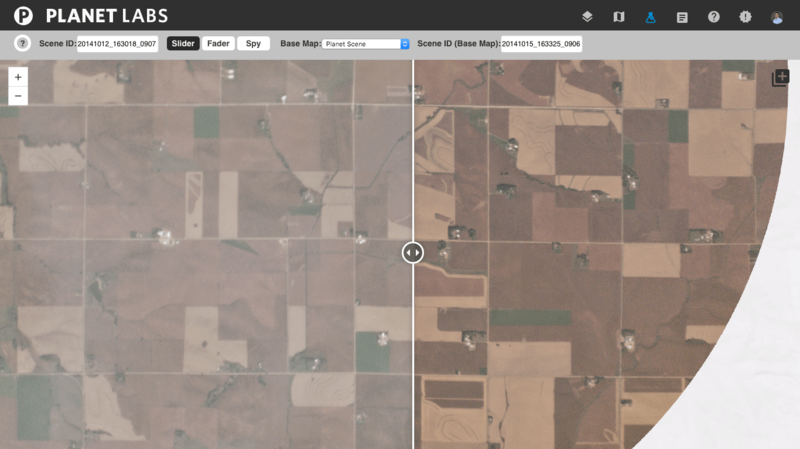 So how is the agriculture industry using your satellite imagery today? The imagery is useful for a basic understanding of what’s changing in the field, which when paired with a farmer’s intuition and experience enables them to better identify the cause of change on their land. Because we’re imaging on a high-frequency basis, which we call monitoring, we’re able to let them know when there’s a new image available for their area of interest. The second stage is to analyze the pixels and look at how the pixel values are changing and then inform the farmers that there’s a particular change in their field. I think that there is and will be progression occurring in how our images are used in agriculture. The first step is making the content available, and that’s what we’re really good at. But there is also a network of providers emerging with domain specific expertise, and they’re able to answer more specific agronomic questions on behalf of the industry. We are really encouraging our users to apply their creativity to our data set; the theory being that this is how innovation will happen in an unfettered way. What’s going to be the focus for innovation is to learn how daily imagery can be significant to making agronomic decisions, at the field level and at the macro level. There’s lots of room for creativity here. Descartes Labs is one example of an emerging startup using third party imagery to build a business. They’re using machine learning to aggregate imagery from Landsat, Planet Labs, and the European Space Agency to provide analytical insights on farming and land use in the U.S.
What we’ve designed is an end-to-end system which can make imagery data available to customers within a couple of days. This is quite significant from an analytical perspective. We are using Amazon Web services to process the imagery on the fly, allowing us to orthorectify the imagery and get it on our platform for our users. This is the first time anyone has taken that volume of data and been able to automate the processing of it, and make it available so quickly. This helps make data more relevant and actionable, which is imperative for farmers to make quick and educated decisions. So Planet Labs is not wanting to get into the analysis game of these other startups? It’s a delicate balance. Planet Labs wants to build a network of partners to contextualize data for specific vertical industries, but we also want to build a platform to service that network of partners and that will bring us into the analytical realm. In terms of our products to sell on the market, that’s our platform. It will have robust analytical tools, but there will also be some layering between the end user and us, the grower. Who are your clients now? We are making great progress with clients. With RapidEye, we acquired a sales channel, and they had good access to the market, so through that we are bringing on new clients. Most of our agriculture clients are ag retailers, seeds or agro-chemical companies, and farm management software providers. We have ag commodities clients who are more downstream focused, looking for a more macro view of global crop production. Crop insurers and large-scale growers are also customers. What are your future funding plans? We raised twice last year in a Series C that was split into a January tranche and an April tranche and this took total funding to $183m to date. We were fortunate to be able to do that and we are doing well with that level of capital for now. We are mainly focused on delivering a whole bunch of satellites into orbit, and things are looking good on the funding front for this. How big is the ag-focused team at Planet Labs? Agriculture is a key vertical market for us and we have teams across our organization devoted our Ag monitoring programs. In sales, we have three full-time people focused on selling into agriculture sectors in North America and have an international sales force based in countries around the world. We are looking to add a technical account manager to support customers that are new to the platform as there is definitely a level of effort around getting comfort with the product, needing support around the use of data and APIs. Drones Startups Raise $450m in 2015 but How Effective Are They for Agriculture Today? The statement ” This is the first time anyone has taken that volume of data and been able to automate the processing of it, and make it available so quickly.” is not only false but a straight up lie in relation to what others have done. Making statements like that is a poor attempt to gain business and attention. Next time please do some research before boldly stating such a claim. Thank you.